NEW YORK (AP) — On a typically sleepy post-Thanksgiving weekend in movie theaters, leftovers led the box office and Disney's "Ralph Breaks the Internet" repeated as No. 1 with $25.8 million in ticket sales, according to studio estimates Sunday. 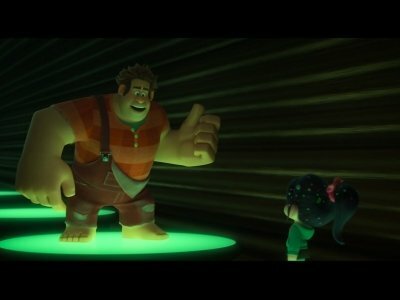 LOS ANGELES (AP) — "Ralph Breaks the Internet" may star an arcade bad guy with powerful hammer-like fists, but the animated sequel is also packing a punch with strong female characters. "Nashville" actress Connie Britton sipped champagne and gave newly-minted Emmy winner Bill Hader a hug as celebrities celebrated under the stars at the Governors Ball. Chelsea Handler was intimidated by Sarah Silverman before they met. 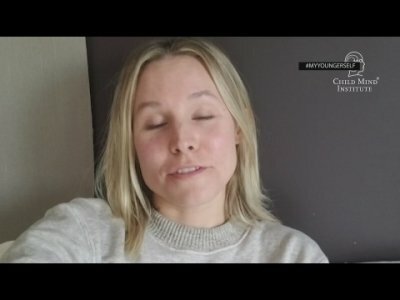 The 43-year-old actress and comedian posted a sweet tribute to her "sister" Sarah Silverman on Instagram reveling the story behind how they became friends, but revealed she was initially "intimidated" by the 44-year-old actress but now after years of being close friends, Chelsea credits Sarah to making her a better person. NEW YORK (AP) — It's been 50 years since Fred Rogers first appeared on TV screens, a gentle and avuncular man who warbled "Won't You Be My Neighbor?" as he changed into a cardigan and sneakers. The low-key, low-tech "Mister Rogers' Neighborhood" presented Rogers as one adult in a busy world who always had time to listen to children. That legacy burns for many in these turbulent times. NEW YORK (AP) — The 60th Grammy Awards primetime broadcast featured no awards handed out for rock or R&B, but comedy — and Dave Chappelle — got the spotlight on music's biggest night. BEVERLY HILLS, Calif. (AP) — Sarah Silverman's new Hulu series boasts intriguing contradictions, just like the comedian. She's a winsome charmer yet fearlessly blunt on stage. "I Love You, America" sets the lofty goal of trying to help an at-odds nation find common ground while gleefully indulging in fart gags. That such humor may help bridge the divide is the method to the show's madness, although Silverman downplays its likely influence. NEW YORK (AP) — A digital series starring late comedy legend Don Rickles will debut online Monday. The 13-episode show "Dinner with Don ," produced by AARP Studios, features Rickles interviewing celebrities such as Jimmy Kimmel, Snoop Dogg , Robert De Niro and Martin Scorsese at his favorite restaurants in Hollywood. Sarah Silverman has remembered her late mother in an emotional tribute. The 46-year-old actress tragically lost her mother, Beth Ann O'Hara, two years ago when she passed away at the age of 73, and to mark the anniversary of her death, Sarah shared a touching tribute on Instagram. Sarah Silverman wears "air traffic control headphones" to bed every night to drown out Michael Sheen's snoring. The 46-year-old actress admits she has had to resort to drastic measures to avoid having sleepless nights due to her Hollywood star boyfriend's heavy breathing, but doesn't mind too much because she "loves" him. Kate Beckinsale's daughter has a "crush" on Jimmy Kimmel. 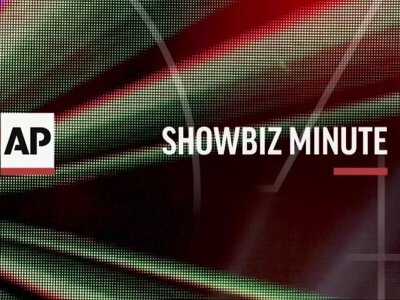 The 44-year-old actress has revealed her 18-year-old daughter Lily - who she has with her former partner Michael Sheen - has a soft spot for the American television presenter, which the brunette beauty thinks makes for a "tricky situation" because Michael is dating Jimmy's ex girlfriend Sarah Silverman. BEVERLY HILLS, Calif. (AP) — Carol Burnett is counting on the honesty of children to bring laughs to a new Netflix series. The comedian will debut a half-hour unscripted comedy called "A Little Help with Carol Burnett" in 2018. In each episode, both celebrities and everyday people appeal to a panel of kids ranging in ages from 4 to 8 for advice about their problems. The show will be taped in front of a live audience. BEVERLY HILLS, Calif. (AP) — Sarah Silverman is out to show that Americans can bridge even their deepest differences and enjoy a laugh as well. Speaking to a TV critics' meeting Thursday, Silverman said that's the goal for her fall Hulu series, "I Love You, America." Television is a unique showcase for comedy of all kinds. You have the typical sitcom, where laughs are meticulously planned out and expected – sometimes even helped along by a laugh track or a studio audience, coaxed to react at the right spots. Sarah Silverman had lots to say about President Donald Trump’s refusal to release his tax returns at a recent rally in New York City. So, you can bet the outspoken comic will share plenty more on that topic when she brings her stand-up show to Foxwoods Resort Casino. The two-time Emmy winner will be at the Grand Theater on Saturday, April 29. Aside from her colorful comedy work, Silverman has distinguished herself as an actress and writer, as well as an executive producer. NEW YORK (AP) — He was only kidding. But don't get him started on his wife, or the time she dove into their swimming pool while wearing all her jewelry. For more than half a century, the hollering, bald-headed "Mr. Warmth" let everyone have it. Insults rained on the meek and the mighty, from unsuspecting fans to such fellow celebrities as Frank Sinatra, Dean Martin and Johnny Carson. "He was the love of my life. Don Rickles is funnier right now in death than most comics are in life." — Chris Rock via Twitter. LOS ANGELES (AP) — Don Rickles, the big-mouthed, bald-headed comedian whose verbal assaults endeared him to audiences and peers and made him the acknowledged grandmaster of insult comedy, died Thursday. He was 90. DENVER (AP) — United Airlines says regular-paying flyers are welcome to wear leggings aboard its flights, even though two teenage girls were barred by a gate agent from boarding a flight from Denver to Minneapolis because of their attire. NEW YORK (AP) — While conservative provocateur Milo Yiannopoulos insulted comics Lena Dunham, Leslie Jones, Amy Schumer and Sarah Silverman, his appearance on HBO's "Real Time with Bill Maher" was relatively tame — at least until the television cameras were turned off. It was later, during an online-only "Overtime" segment of Maher's Friday night show, that two of Maher's three panelists hurled expletives at the Breitbart News senior editor. Donald Trump has more in common with Lady Gaga than the new president might be willing to admit. The Donald and the diva have both been “Baba Booey bombed,” along with Trump’s golf buddy Tiger Woods. MADISON, Wis. (AP) — Comedian Sarah Silverman called Democratic U.S. Senate candidate Russ Feingold a "progressive rockstar" in a fundraising plea Wednesday, while Wisconsin Gov. Scott Walker planned to hit the campaign trail to help incumbent Republican Sen. Ron Johnson. PHILADELPHIA — On Tuesday, we made history. Hillary Clinton became the first female nominee of a major political party. I have a lot of thoughts, but the word that immediately comes to mind is: finally. • Elizabeth Warren acted as an effective political attacker of Donald Trump. 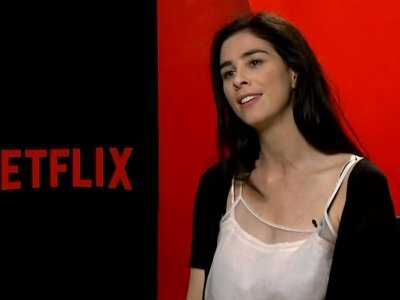 • Sarah Silverman did her best to bring together the party in a lighthearted way. PHILADELPHIA (AP) — Comedian Sarah Silverman didn't mince words in her message to die-hard Bernie Sanders supporters at the Democratic convention: "Can I just say to the Bernie or bust people, you're being ridiculous." Comic Sarah Silverman joined Sen. Al Franken Monday night to urge Democratic National Convention delegates to unite — then stirred up Bernie Sanders die-hards with some choice words: "To the Bernie or bust people, you're being ridiculous." As a Sanders supporter herself, Silverman said she would now vote for Hillary Clinton "with gusto" as she continues to be "inspired and moved to action by the ideals set forth by Bernie, who will never stop fighting for us." LOS ANGELES (AP) — Comedian Sarah Silverman says she's "insanely lucky to be alive" after undergoing surgery and spending a week in the intensive care unit due to what she calls "a freak case of epiglottitis." Epiglottitis is a swelling of the cartilage lid that covers the windpipe. The condition can block the flow of air into lungs and is potentially life threatening.